The planet’s warming oceans will make Hawaii more vulnerable to fierce storms like Hurricane Lane in the decades to come, researchers predict. Historically, two key natural elements have protected the Hawaiian Islands from further onslaught by hurricanes. First, the island chain lies right on the edge of an area of the ocean where water temperatures fuel tropical cyclones. Move just to the north and the waters are too cold for the storms; move to the south and they’re plenty warm enough. 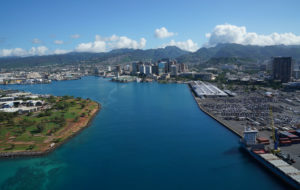 Hawaii “is close enough to that margin that the warm years tip you over the edge,” says Daniel Swain, a climate scientist at the University of California, Los Angeles. 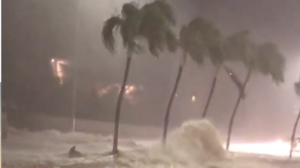 “An extra degree or two can actually make a pretty big difference” in hurricane activity. 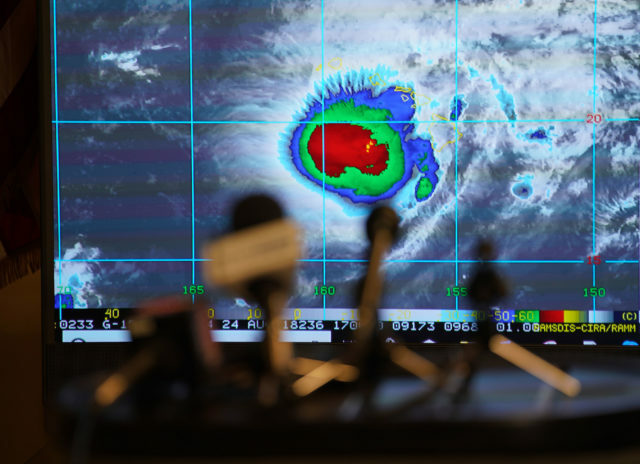 Hurricane Lane is displayed on a big screen at a press conference at the Diamond Head Emergency Operations Center in August, with microphones in the foreground. Later that day, Lane weakened into a tropical storm. Second, the central Pacific’s strong vertical wind shear — the changes in wind speed and direction at different altitudes — often “decapitate” hurricanes as they approach the islands, breaking them apart before they get too close. That effect is precisely what spared Honolulu from Hurricane Lane. But as the planet’s climate warms, those natural protections are already weakening. Climate change won’t just bring warmer waters and more hurricanes farther north toward Hawaii — it will also diminish the islands’ wind shears, recent research shows. One 2017 study projects “a robust and pronounced increasing trend” in tropical cyclones in the northern Pacific, with the “maximum positive trend” happening in the central subtropical Pacific — right where Hawaii lies. 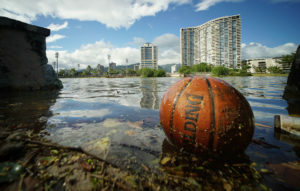 The study’s co-author, University of Colorado Boulder Associate Professor Kris Karnauskas, estimates that Hawaii could see the number of tropical storms and hurricanes that either pass nearby or make landfall increase by 15 percent each decade if the world’s carbon emissions rate remains the same. It’s one of the rare regions expected to see an increase in both number and intensity of storms. 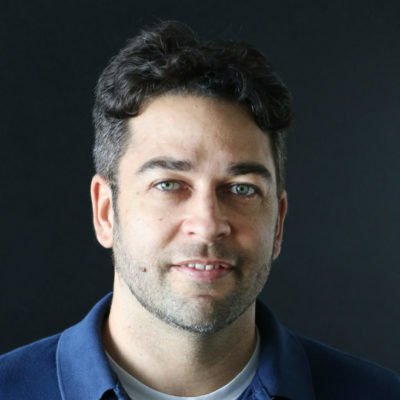 “Hawaii might see a bit of a double-whammy,” Swain adds. 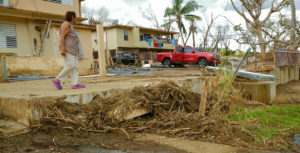 The islands have seen five direct hits from either a hurricane or a tropical storm since 1950, according to the Central Pacific Hurricane Center. 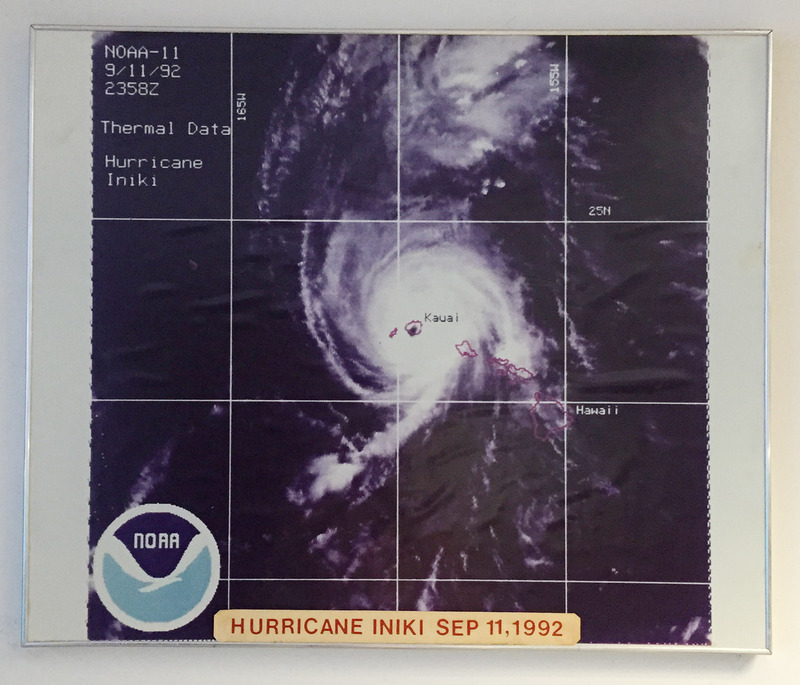 The most infamous was Hurricane Iniki, which struck Kauai in 1992. The storm killed six people and caused nearly $3 billion in damage. Three of those direct hits happened in the past four years. Iselle in 2014 and Darby in 2016 each made landfall on the Big Island as tropical storms, after weakening from hurricane strength. Olivia struck several islands in September as a moderate tropical storm. 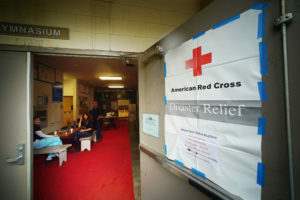 None of those five direct hits struck Hawaii’s most vulnerable spot — the southern shore of Oahu — where a major storm could do catastrophic damage to the state. Still, these storms and the two dozen other cyclones that have buzzed the islands in the same period have taken a heavy toll. 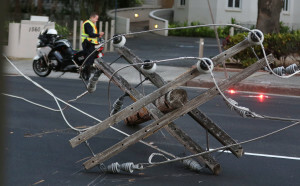 Among the most damaging of the storms that have hit Hawaii directly since 1950 was Iniki. It struck Kauai in 1992, killing six people and leaving behind nearly $3 billion worth of damages. During El Niño seasons, which typically happen every four to six years, warm waters fuel more hurricanes. During La Niña seasons, when waters are cooler, fewer hurricanes form. In 2015, the last El Niño season, the central Pacific saw a record 16 tropical cyclones form. At one point, there were three Category 4 hurricanes moving toward Hawaii simultaneously. 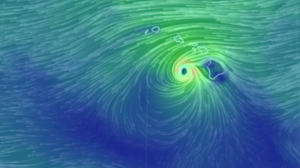 “That was really, really scary,” said Pao-Shin Chu, a University of Hawaii climatologist. El Niño conditions could resume as early as this fall. NOAA meteorologists expected to see as many as six cyclones form in the central Pacific this hurricane season. In fact, the region has seen six already — Hector, Lane, Miriam, Norman, Olivia and Walaka. Iniki also occurred during an El Niño year. Under this pattern, the central Pacific saw relatively few hurricanes in the 1970s. The activity increased in the 1980s and ’90s. Then, it decreased again in the early 2000s. Now, meteorologists say, hurricane activity is ramping up again as part of this pattern.